LANCASTER—The City of Lancaster is committed to continue being clean and green, while providing a healthy, safe and vibrant community for its citizens. In support of “Keep Lancaster Beautiful” and the Great American Clean-up efforts, the City of Lancaster welcomes residents to participate in its upcoming Trash Off on Saturday, January 26, 2019 from 8:00 a.m. to 2:00 p.m. at 1501 N. Dallas Avenue (next to Regions Bank). The Trash Off is a great opportunity for Lancaster residents to clean their home, garage, and yard of bulk trash, recyclables, scrap metal, brush, and electronic waste (i.e. computers, kitchen appliances, televisions, etc.) at no additional cost. 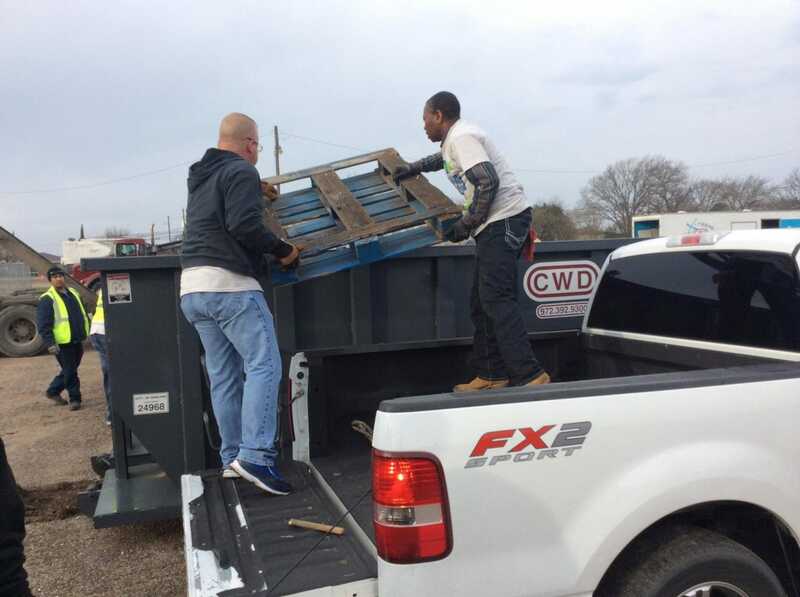 Focusing on creating more opportunities to become a greener city and reducing our carbon footprint, Goodwill Industries of Dallas will be on-site accepting donations of furniture, clothes, and household items that would otherwise end up in landfills. Additionally, residents will be able to shred documents and drop off prescription medicine at no additional cost. The Trash Off is a wonderful opportunity for individuals, groups, and organizations to volunteer to clean-up trash in selected areas of Lancaster. All volunteers will receive complimentary lunch and a volunteer t-shirt on the day of the event. Residents disposing of appliances must have refrigerant removed and tagged by a certified technician. This program is open to Lancaster residents only with proof of residency. For more information on how to volunteer and participate in the spring 2018 Trash Off, please call (972) 218-1324 or visit www.lancastertx.com/TrashOff.